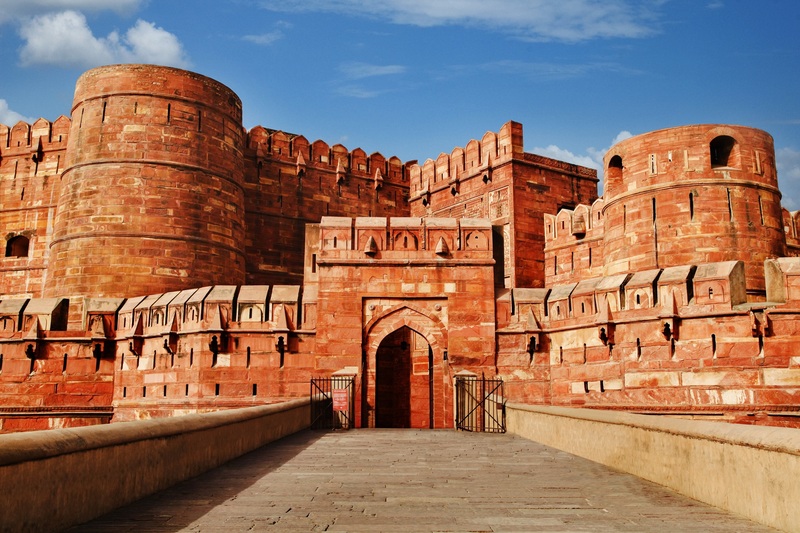 AGRA FORT – All About India ! ABOUT : Agra Fort is one of the most historical and robustly built structure of the Mughals, which they were used as their residential area till 1638. It has been heard that this fort was built before 10th century on the ancient site of Badalgarh but it is not yet confirmed. It is also tagged as the UNESCO world heritage site. HISTORY : Sikandar Lodi was the first sultan of Delhi to shift his capital from Delhi to Agra and held the fort from 1487 to 1517. After the death of the Sikandar Lodi his son Ibrahim Lodi held the fort for 9 years untill he was defeated in the battle of Panipat in 1526. Many palaces, wells and a mosque were built during the Lodi period. Humayun, the son of Babur then captured the fort and seized huge quantity of treasure included Koh-i-noor diamond. Humayun built a step wall in this fort and was coronated in 1530. Sher Shah of the Sur Dynasty defeated Humayun in 1540 and captured the fort. Third Mughal Emperor Akbar arrived in agra in 1558 and rebuilt this fort in 1565 with red sandstone. About 4000 workers were working daily and completed the construction in 8 years in 1573. Pingback: AGRA – KNOWN FOR LOVE – All About India !